On a recent trip to Turkey we spent some time exploring the absolutely amazing southwest coast along the Aegean Sea. The coast is full of beautiful scenery, lush greenery, turquoise waters and historical ruins. After flying into the Izmir airport and renting a car, we set off to do some sightseeing at our own pace on a little road trip. 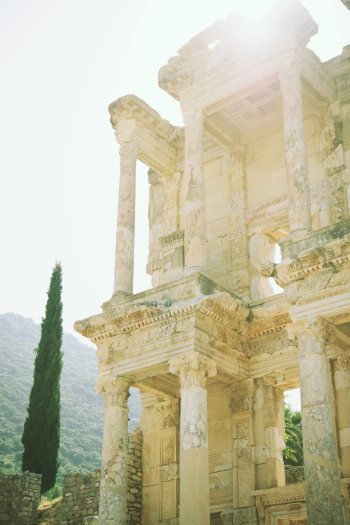 Our first stop was at Ephesus, one of Turkey’s most famous historic sites. 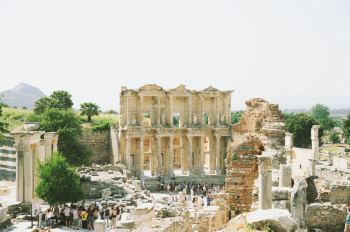 Ephesus was once an ancient Greek city—and later a major Roman city—and contains the largest collection of Roman ruins in the eastern Mediterranean. 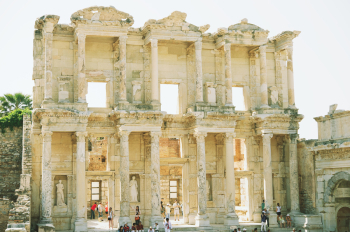 The most amazing of the excavations is the Library of Celsus (built in 124 AD) and the theater that dominates the view down Harbor Street, leading to the now dried-up harbor. We spent the evening in the nearby village of Sirince at a beautiful bed & breakfast called The Markiz Konaklari Boutique Hotel. This former Greek village was a photographer’s dream! We strolled the village streets enjoying the views and a quick tasting of various fruit wines. Afterward we enjoyed more dining alfresco with a home cooked patio dinner and a delicious breakfast the following morning before heading out on our ruins road trip. Driving the Turkish highways was easier than we ever imagined! 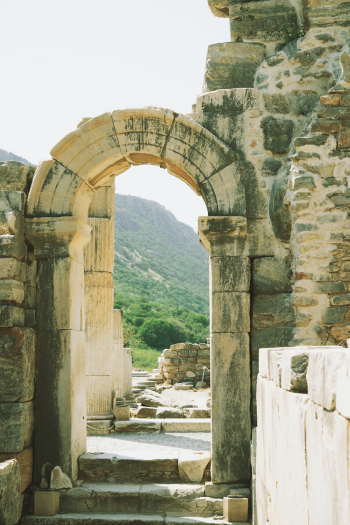 On our southern road trip we were able to visit Priene, the theater of Miletus, the Temple of Zeus at Euromos and we even enjoyed a waterfront lunch at Lake Bafa. All of this was done before arriving in the city of Bodrum to spend the remaining days of our trip lounging pool side, soaking in the sun at the beach, seeing the famous Bodrum Castle and marina and appreciating the great views of the little whitewashed houses from our hotel patio above it all. 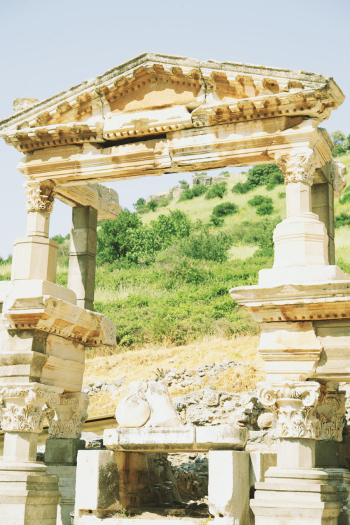 When visiting Southern Turkey, exploring Ephesus is a must! Make a trip to Priene and the Temple of Athena, funded by Alexander the Great. We had the place to ourselves! 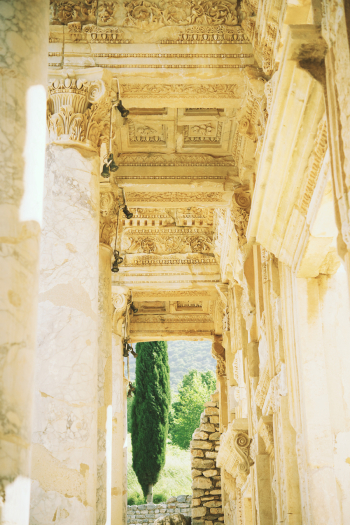 We loved our time at the Temple of Apollo at Didyma, which was among the most famous oracles in the ancient world. 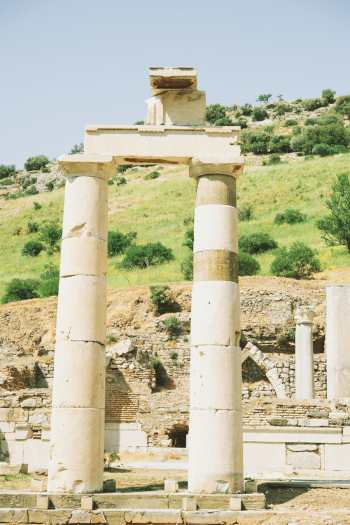 We highly recommend the Temple of Zeus at Euromos. It has the most perfect ruined Greek temple set in an olive grove where we were the only visitors once again! In Bodrum, be sure to make a visit to the famous Bodrum Castle. We planned and navigated the trip on our own using Turkey Travel Planner for a ton of great information. Lauren Neff is a wedding & lifestyle photographer based in South Dakota and serving the Midwest. When not working you can usually find Lauren trying to convince her husband to plan more travel adventures—hopefully with a cup of coffee or beer in hand.